Savvy Spending: Free Large Popcorn at AMC Theaters when you enter 10 My Coke Rewards codes by 4/10! Free Large Popcorn at AMC Theaters when you enter 10 My Coke Rewards codes by 4/10! 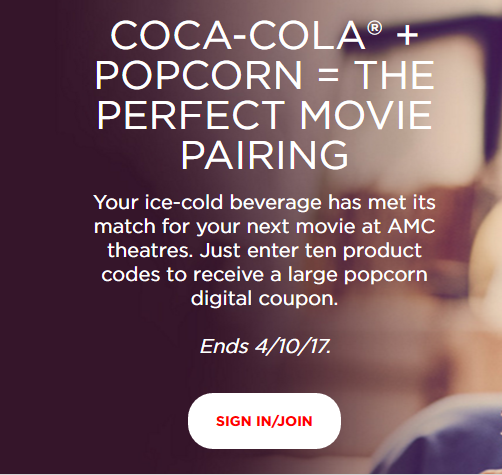 If you've been saving your My Coke Rewards codes, you can enter 10 codes by 4/10 and get a FREE Large Popcorn at AMC! The coupon will be sent to your email and you’ll need to claim your reward by April 17th, but the reward won’t expire until September 30th, 2018.